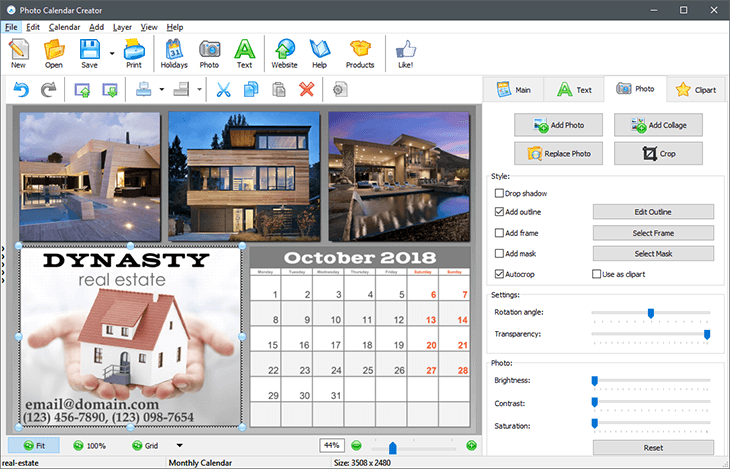 Home Calendar Software - Choose the Best! 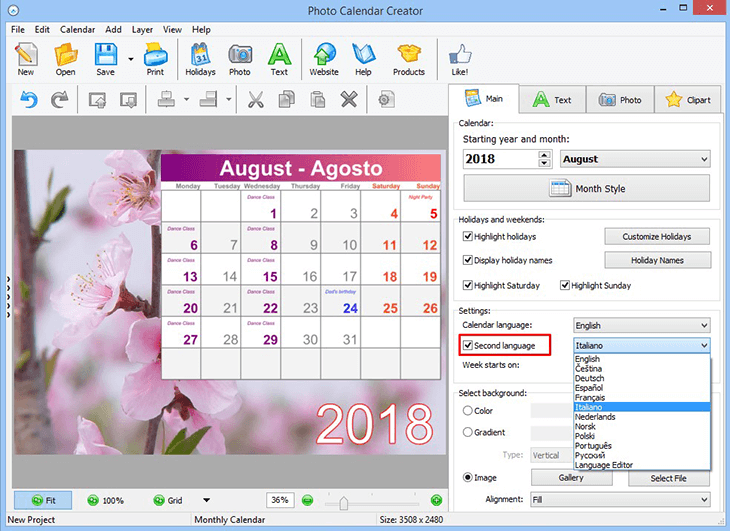 What features should you look for in the best calendar software? 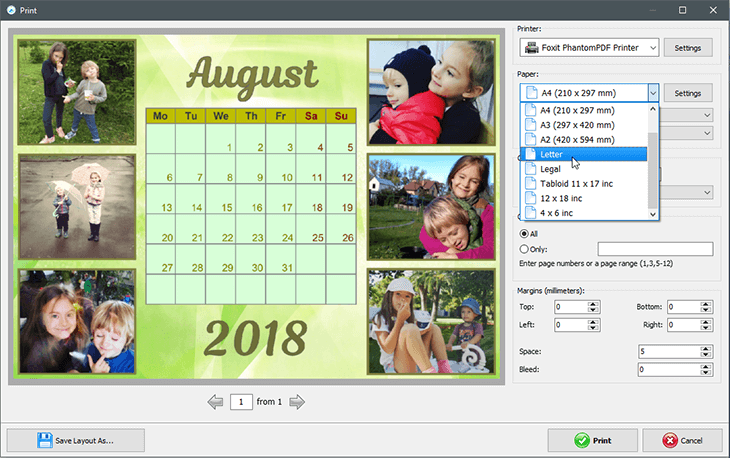 You'd probably like to insert your own photos into the designs you create, add personal holidays and print your custom calendars in proper size. 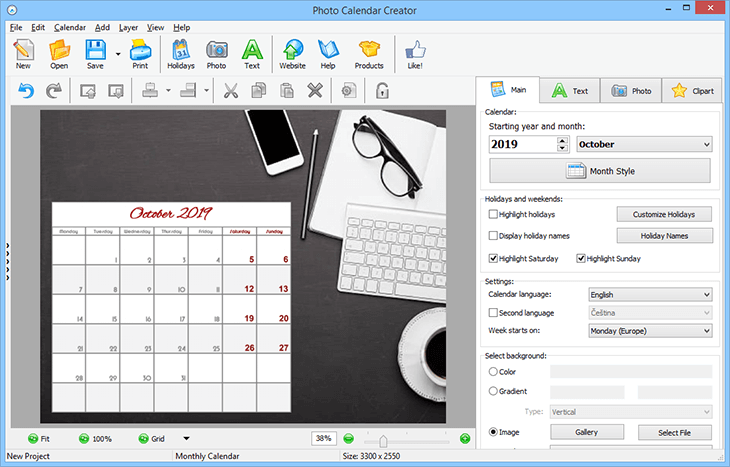 Read this guide and you'll learn more about Photo Calendar Creator software and how to work with it. 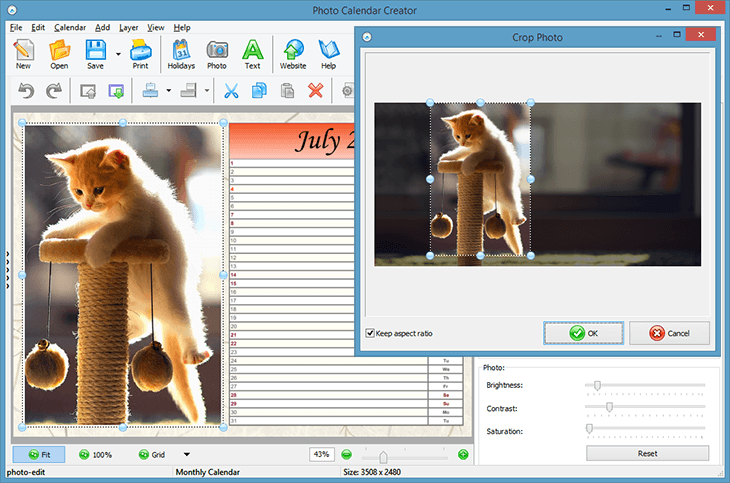 Don't have enough time and technical skills to create your own photo calendar? 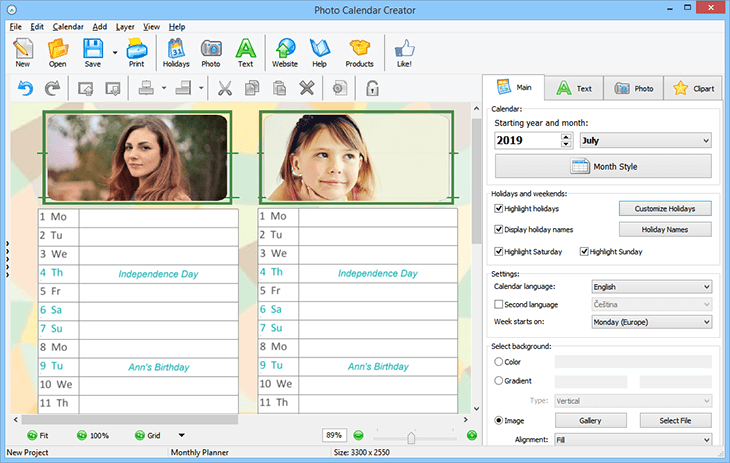 With smart calendar making software like Photo Calendar Creator, you will instantly feel like a pro! Check out this tutorial and learn how to make a calendar with your personal photos in just three simple steps. Organizing your family’s time and planning joint activities is a challenging task, especially when each family member has their own interests and chores. That’s when a customized family calendar comes to rescue! Read this guide and you’ll see fine examples of family photo planners, as well as learn how to do one yourself. 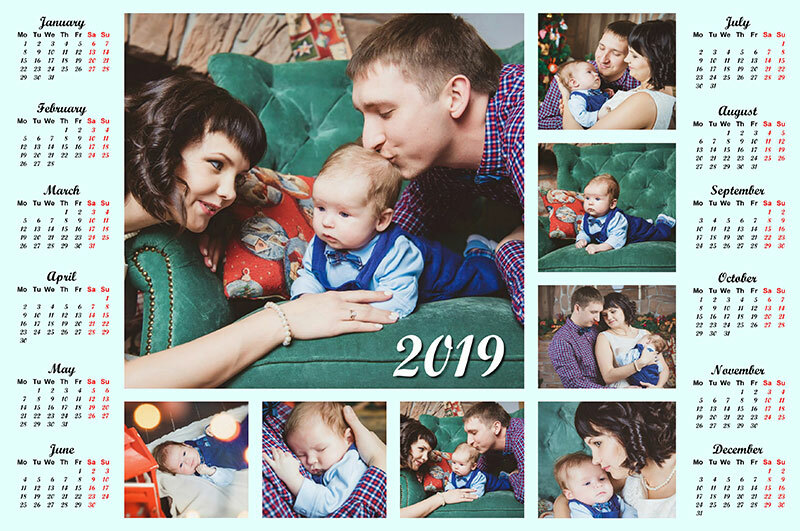 Want to give your family pictures a new life? Turn them into a touching calendar! In this guide, you'll find five types of family photo calendars that you can easily create with your own hands. Hang your design to the wall at home, place it on your office desk or hold it in your wallet - the family will always be with you. 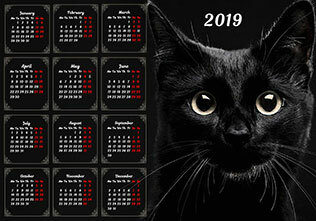 Want to make a calendar with more than one photo? Check out this inspirational guide and learn how to create a photo collage calendar with two, three or even a dozen images! A classic grid collage or a fancy layout with a pile of pictures scattered across the page - that's all totally easy. Experience a lot of stress at work? Want a time-organizing tool that will surely cheer you up? 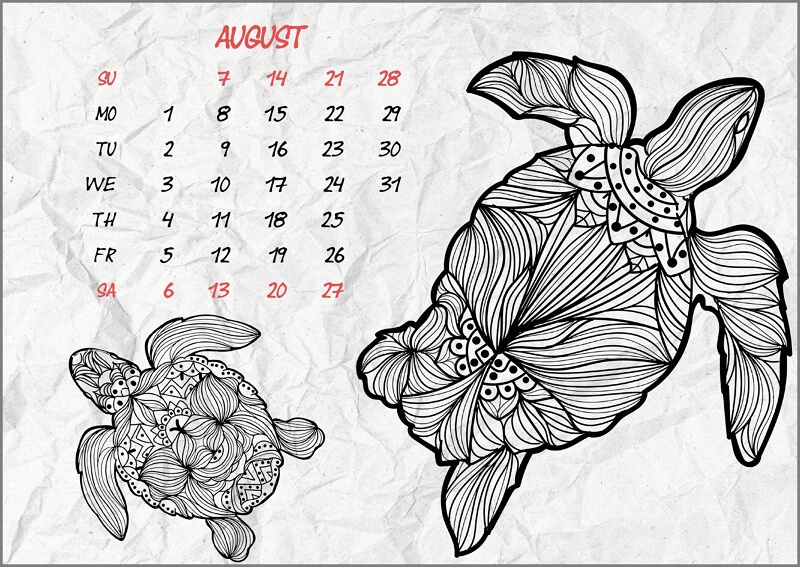 Take a look at these black & white calendar designs and find the one you'd like to colorize. They're absolutely ready to go - just print one of the calendars and get down to work with a bunch of colored pencils. Seeking new effective ways to attract customers? 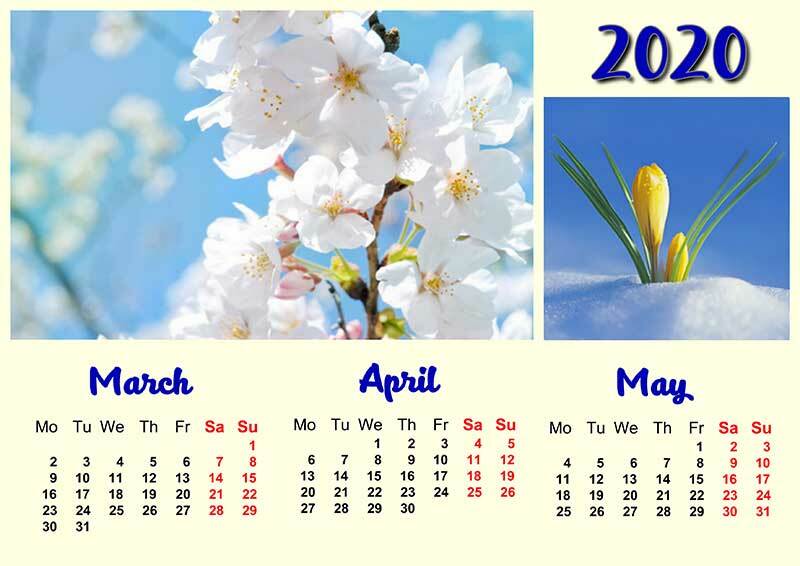 Make a stylish calendar with pictures representing the services you provide. It's also a great idea to insert your company's logo, slogan and contacts right on the calendar page so your clients will take a look at the planner and get all the necessary information. In this written guide, we will show you how to keep all of your meetings, assignments, deadlines, etc. in a single personalized planner. 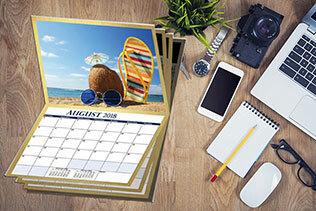 This calendar design is perfect for dedicated employees, fans of healthy food, diligent students and sports lovers. Making a customized photo calendar is the best way to get an effective time organizer with a personal touch. In this tutorial, you'll find five exciting calendar projects to try: a stylish wall calendar, a cute meal planner, a birthday reminder calendar, a personal workout planner, and a handy pocket calendar. In this guide, you'll learn about various ways of building a calendar design around a photo. Set your picture as a background image; use a central photo; create a stylish collage; insert photos right into the month grid cells to mark your special events. There are some tips on editing pictures as well. 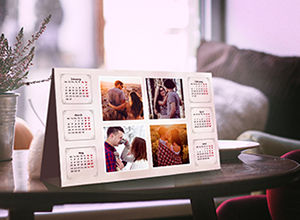 If you're seeking a perfect time-organizing tool, a personalized gift for a close friend or an effective means to advertise your business, make your own photo calendar! In this tutorial, you will find recs on the creation process and get inspired with the calendar designs you can realize with your own hands. Check out this guide and learn how to make a one-of-a-kind perpetual birthday calendar. 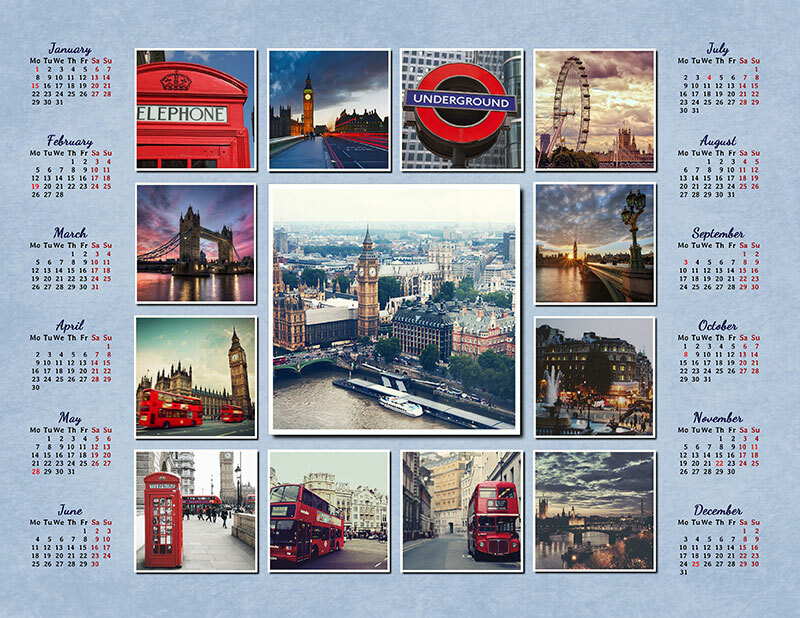 Decorate your calendar design with personal photos, cool clipart and stylish frames. That way you'll never forget about anyone's birthday and will be able to prepare great gifts for your loved ones. Love to make your own monthly planners? In this guide, you'll find inspiring calendar examples of different types where you can mark important events and dates. Read this tutorial till the end and you'll learn how to create a personalized planner that perfectly satisfies all your needs. How about making a calendar that will add some individuality to your workplace and still help you wisely organize the time? 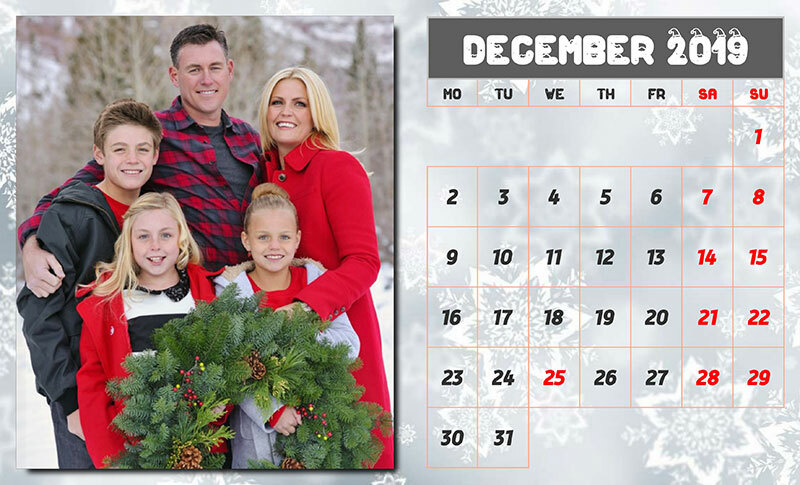 Check out this tutorial and learn the basics of creating a desk photo calendar. In the end you'll find eye-catching calendar examples to get inspired with! Do you feel like your kids have a lot of school and after-school activities? Help them wisely organize their time among local theater rehearsals, football matches, hometasks and hanging-out with their friends. This guide will show you how to create a printable school calendar for your children right at home! 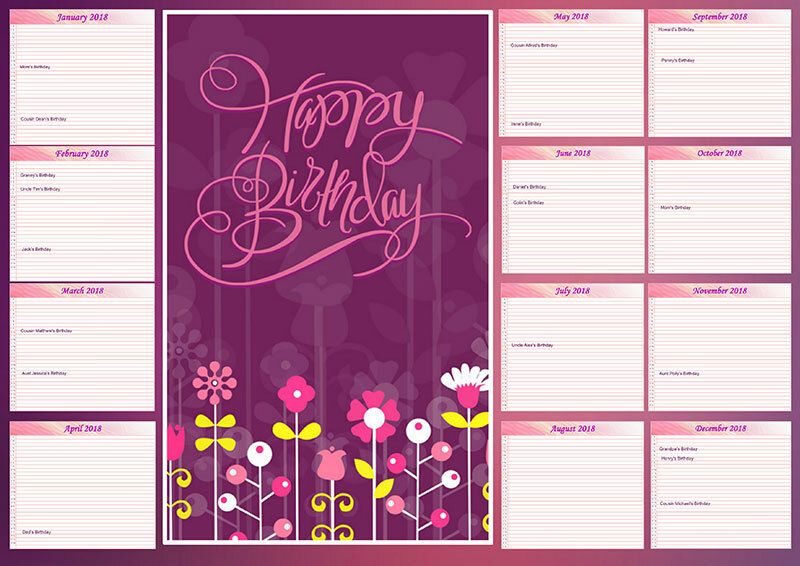 Birthday calendars can serve not only as useful reminders, but also great DIY gifts for the celebrant. Follow these instructions on how to make a birthday calendar with personal photos, and craft one yourself. Keep reading the guide till the end and you will find a few amazing calendar examples. Even such a simple thing as a photo calendar can becone a powerful tool to boost your business and increase the brand recognition. Read this tutorial and you'll learn what kinds of business usually use calendars for promotion and how to create the best advertising planner for your company. How to Make Your Own Calendar - Simple Steps & Terrific Examples! 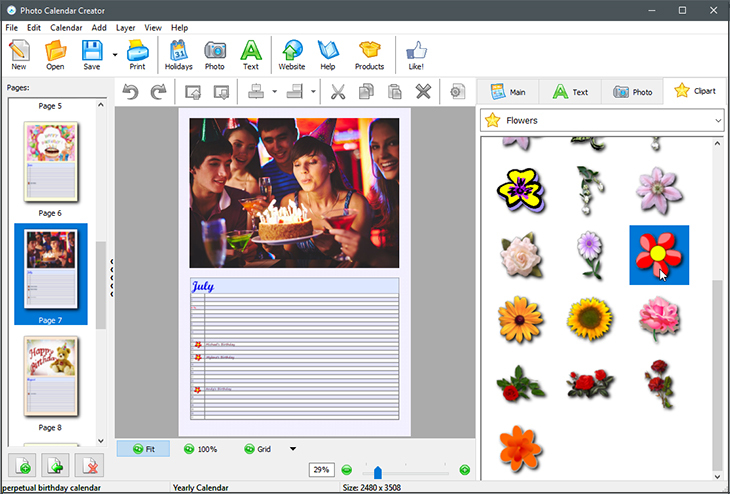 Want to know how to make your own calendar with personal photos and holidays? Follow the steps in this guide! Apart from the instructions, there are five cool examples for you to get inspired: a wall poster, a 12-page calendar, a motivational planner, a folding desk calendar and a booklet! 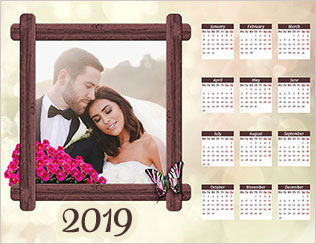 When making custom calendars you can easily choose the style of your design, combine any photos you like and even create a memorable gift for your friends and family that won't be bought in a regular store. Get inspired by the calendar examples we've made for you and make your own calendars in a matter of minutes! Thinking of making a promotional calendar to distribute among your potentional clients? Here, you'll find some essential expert tips on professional calendar design, and a hands-on guide on creating a great-looking promo calendar. Decided to make your own photo calendar? In this tutorial, you'll find five creative ideas on how to turn more than 150 templates into personalized calendars, including a birthday reminder, an individual planner and a vision board calendar.